... In addition to the usual improvements of existing features for users and developers, this release has seen a lot of work done on the accounting part. Of course, migration from previous series is fully supported with the obvious exception of the ldap_connection module which was removed. The search of relation record has been re-worked to take advantage of the auto-completion. The search box of the pop-up window is filled with the text entered in the widget. The search / open button of the Many2One widget is now inside the entry box and the create button is removed in favor of auto-completion actions or pop-up button. This change allow to harmonize the size of all widgets inside a form. A new image widget is available on list/tree view. The client can now perform a pre-validation before executing a button action. The validation is based on a domain and so the offending fields can be highlighted and focused instead of having an error message pop-up. The selection label are now available in addition of the internal value for the export data (CSV) functionality. The export data window is now predefined with the fields of the current view. This gives a fast way to export what you see. The predefined export can now be replaced directly with a new selection of fields. This eases the process of creating such predefined exportation. It is now possible to re-order the list of the exported fields using drag and drop. The range operator of the search box is now including on both endpoints. It appears to be less astonishing behavior for users even if the previous behavior including-excluding had some practical advantages. The client loads now plug-ins defined in the user local directory ( ~/.config/tryton/x.y/plugins ). A new Mixin MatchMixin is introduced. It allows to implement a common pattern in Tryton to find records that match certain values. Another UnionMixin is also introduced. It allows to define a ModelSQL which is the UNION of some ModelSQL 's. Actually, Tryton doesn't update a record defined in a XML file if this one has been modified outside the XML . Now, it is possible to find those records and force the update to get the record synchronised with the XML . A Python descriptor has been added to the Selection field. It allows to define an attribute on a Model which will contains the selection label of the record. It is planned to update all the reports to use such descriptor instead of hard-coded values. A new configuration file format is introduced for the server. It is easily extendable to be used by modules. For example, the ldap_authentication module starts using it in replacement of the removed ldap_connection . It is now possible to give a logging configuration files to setup the server logging. This file uses the Python logging configuration format. The context defined on relation fields are now used to instantiate the target. The SQL clause for a domain on a field can be now customized using a domain_<field> method. This method allows in some cases a more efficient SQL query. The method is designed to support joins. The access rights has been reworked to be active only on RPC calls. With this design, Tryton follows the principle of checking input on the border of the application. So it is no more required to switch to the root user when calling methods requiring some specific access rights as far as it is not from an RPC call. A new wizard to help reconcile all accounts has been added. It loops over each account and party and makes a proposal of lines to reconcile if it could find one. This really speeds up the reconciliation task. There is also another new wizard to ease the creation of cancellation moves. The wizard also reconciles automatically the line with the cancelled sibling. A new option Party Required on account has been added. This option makes the party required for move lines of this account and forbids it for others. It is now possible to configure which tax rounding to use. There are two ways implemented: per document and per line. The default stays per document. It is now possible to change a succeeded payment to failed. The scheme Business to Business is supported for direct debit. The mandate receives now a default unique identification using a configured sequence. The module supports now the bank to customer debit/credit notification message (CAMT.054). A report to print a standard form for mandate has been added. It is now possible to order the statement lines and to give them a number. With those features, it is easier to reproduce the same layout of a bank statement. A report for statement has been added. For example, it can be used when using the statement for check deposit. A validation method can be defined on the statement journal. The available methods are: Balance , Amount and Number of Lines . This helps to uses the statement for different purposes like bank statement or check deposit. The method is now defined on the fiscal year instead of being globally activated on module installation. It is now possible to store zip code per country. A script is provided to load zip codes from GeoNames. The module ldap_connection has been replaced by an entry in the configuration file of trytond . The new zip code from the module country is used to auto-complete zip and city field on address. The Confirmed state has been split into Confirmed and Processing , just like the Sale workflow. The management of exception on drop shipment is propagated from the sale to the purchase. The Account Payment Clearing module allows to generate clearing account move when a payment has succeeded between the receivable/payable account to a clearing account. The clearing account will be reconciled later by the statement. 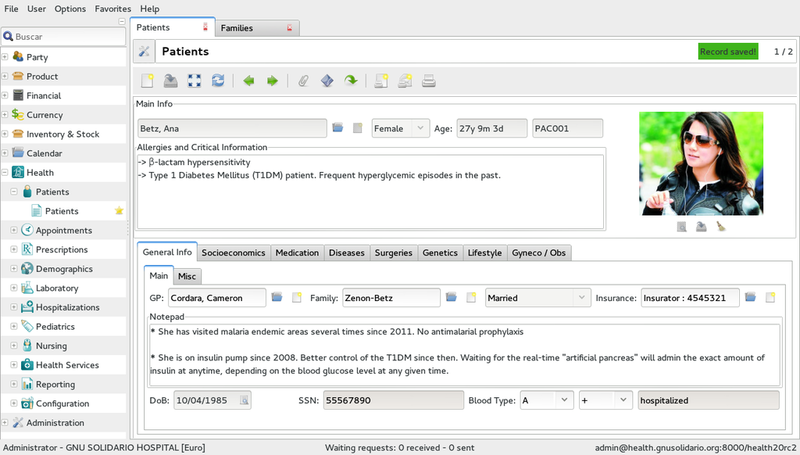 Proteus is a library to access Tryton like a client. It is now possible to run reports. It is useful for testing them. A new duplicate method is added which is similar to the copy menu entry of the client. During the week of September 23rd. 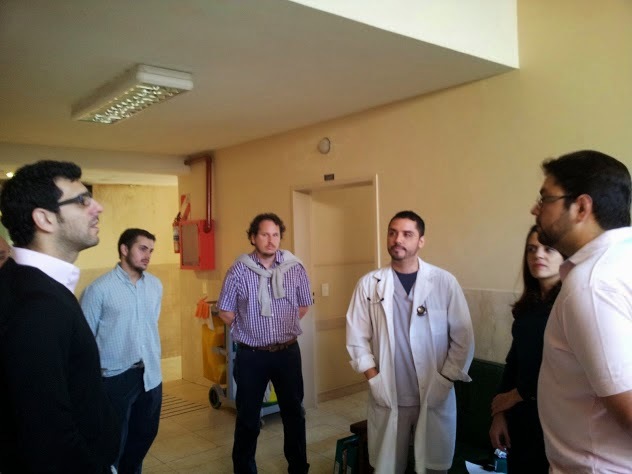 we provided the Functional GNU Health training in our offices in Buenos Aires. We had the opportunity to see "old friends" and, as always, it was a real pleasure ! As we always say that there's nothing better than see practical cases, during the training we had the chance to take our students to see an actual implementation. It was a major occasion to see the system working in real life and to ask questions. 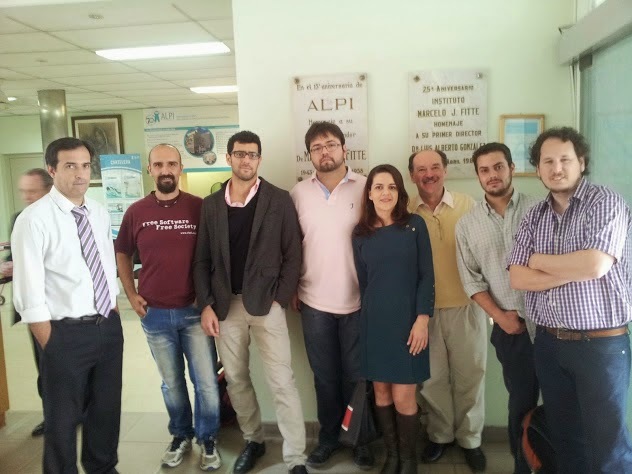 We want to thank ALPI for the great predisposition and help. These are some words from our students. We want to thank them again and we appreciate the confidence they placed on Thymbra's team. We look forward to providing the best possible services. 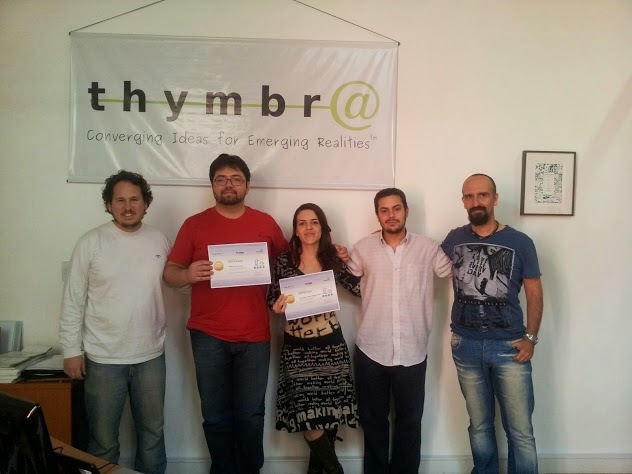 "We would like to thank very much Thymbra for the training program. It was very well planned and executed by the company staff. 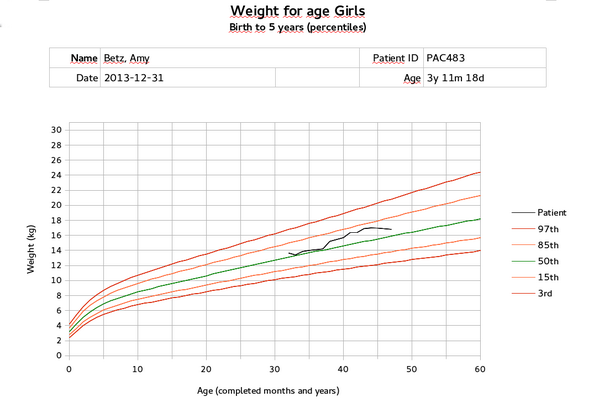 In a short period of time we were able to learn how to work and how to implement GNU Health. The training was not restricted to the functionalities of the system, but it also encompassed the philosophy and concepts behind its design, which made a huge difference. We are confident now that we have the necessary skills to work with GNU Health..."
GNU Health patchset 2.6.3 has been released ! We provide "patchsets" to stable releases. Patchsets allow quick bug fixes and updates for production systems. Patches and Patchsets maximize uptime for production systems, and keep your system updated, without the need to do a whole installation. Some of them, and thanks to the magic of Tryton can be applied to running system. sectors, specialties and insurances; fix appointment report. Dinámica, desafiante y gratificante, la prestación de servicios de salud está evolucionando hacia un horizonte de mayor exigencia e integración. En el último año, el mercado global de sistemas electrónicos en salud creció en 60 mil millones de dólares. Sólo Europa concentra el 77% de la demanda de servicios de informática médica, y de acuerdo con el último censo de la Organización Mundial de la Salud, 114 países están trabajando en pos de sistemas electrónicos de salud a nivel nacional. Sin embargo, los costos de mantener dichas tasas de crecimiento mediante software privativo –especialmente debido a los precios de las licencias—ha impulsado a diversas instituciones hacia otros caminos, en su mayoría de código abierto. Aún en implementaciones a gran escala, con cobertura de millones de personas y distintos centros de salud operando en simultáneo, la inversión total de adaptar un software libre puede ser hasta 40 veces menor que utilizar uno comercializado de forma privativa. Los mayores avances en la salud ocurrieron gracias a la investigación y la cooperación. De igual forma, un emprendimiento tecnológico — para ser sostenible en el tiempo y el espacio — debe contar con una licencia que permita su uso, estudio, mejoras, distribución y la redistribución de esas mejoras. Éstos beneficios, entre otros, son los que brinda el software libre. GNU Health le ofrece la comodidad y la eficiencia de un sistema integral, sin poner en peligro las posibilidades de crecimiento ni la autonomía de su organización. Bajo la licencia GPL, este software libre centralizado provee la funcionalidad de un expediente médico electrónico (EMR, por sus siglas en inglés), un sistema de información hospitalaria y de salud (HIS), así como un motor de reporte epidemiológico (EPI). Más aún, abarca las capacidades de un sistema de planificación de recursos empresariales o ERP, ya que utiliza Tryton –otro software 100% libre—como framework. GNU Health es un paquete oficial de GNU y fue galardonado por la Free Software Foundation como “Mejor proyecto de Beneficio Social” en el 2011. La salud pública es un derecho fundamental ! Al igual que ustedes, en Thymbra compartimos el compromiso con el progreso y la atención de calidad. El camino al éxito es sin duda una construcción colectiva, por eso nos enorgullece contar con una comunidad activa en todo el mundo. Dynamic, challenging and rewarding! Providing health services is evolving towards a horizon of greater demand and integration. In the past year, the global market for electronic health systems grew by 60 billion dollars. 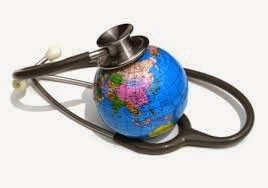 Europe alone accounts for 77% of the demand for medical informatics and, according to the last census of the World Health Organization (WHO), 114 countries are working towards electronic health systems nationwide. However, the costs of maintaining such growth rates using proprietary software - especially because of the prices of the licenses - has driven several institutions to other paths, mostly free/libre source. Even in large-scale deployments, with coverage of millions of people and different health centers operating simultaneously, the total investment to adapt free software can be up to 40 times lower than the use of a privative one. GNUHealth offers the comfort and efficiency of an integrated system, without jeopardizing the growth potential or the autonomy of your organization. Under the GPL license, this centralized free software system provides the functionality of an electronic medical record (EMR), an hospital and health information system (HIS), and an epidemiological report engine. Furthermore, it covers the capabilities of an enterprise resource planning (ERP) because it uses Tryton - another 100% free software framework. GNU Health is an official GNU package and was awarded by the Free Software Foundation as "Best Project of Social Benefit" in 2011. Public health is a human right ! Just like you, in Thymbra we share a commitment for progress and quality care. The road to success is undoubtedly a collective effort, that's why we are proud to have an active community worldwide. 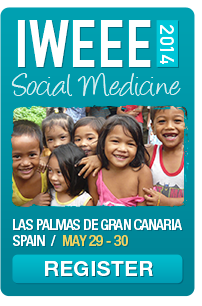 Thymbra will be sponsoring IWEEE 2014: Social Medicine. The event is organized by GNU Solidario, a Non-for-profit organization that works globally, delivering health and education with free software. 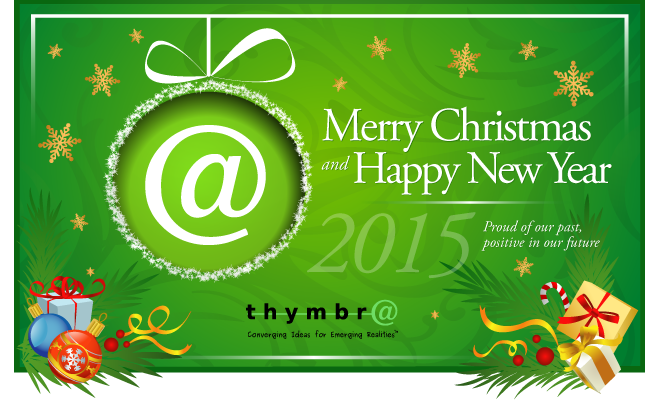 Thymbra has been sponsoring IWEEE for the last 4 year and we urge to do the same. Any kind of cooperation will help to promote and spread health and education with free software for the underprivileged ! Registration and paper/poster submission are already open. Make sure to book your place ! Por primera vez en lo que transcurre del año, Thymbra abre una semana especial con descuentos (*) en sus capacitaciones técnicas y funcionales. Desde el lunes 17 y hasta el viernes 21 de marzo, nuestros docentes impartirán los contenidos completos de nuestras reconocidas academias de GNU Health. 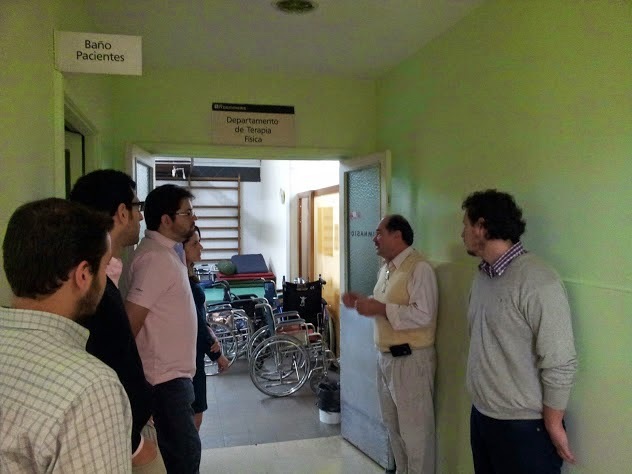 La capacitación funcional está prevista para que nuestros estudiantes aprendan a instalar GNU Health y configurar desde cero un ambiente hospitalario. Además, se busca internalizar los distintos procesos de actividad cotidiana en la institución y cómo interactúan con el software. En el caso de la academia técnica, apunta a conocer el entorno de desarrollo en GNU Health y Tryton, crear e integrar nuevos módulos y contar con las herramientas para localizar el software en una eventual implementación. 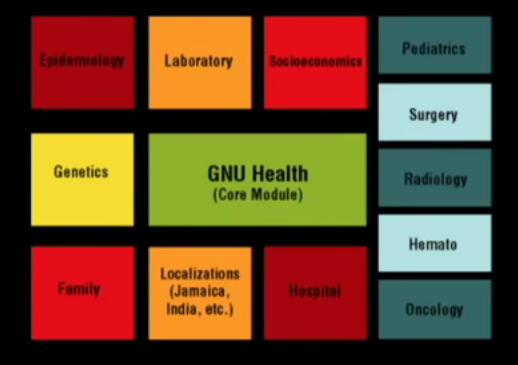 Más que un software, GNU Health es un proyecto colectivo y de alcance internacional. 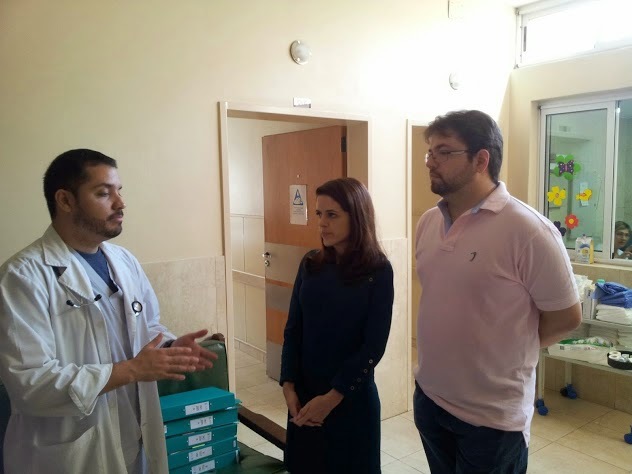 Desde el Hospital Lister en Entre Ríos, Argentina, hasta el Centro de Rehabilitación Médica en Vientiane, Laos, GNU Health se ha adaptado a las necesidades más particulares de los centros de salud. 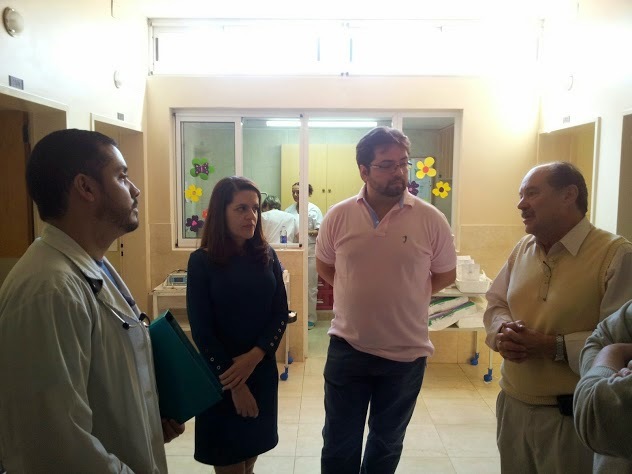 Además, en septiembre de 2013 el Ministerio de Salud de Jamaica optó por esta plataforma para su sistema de salud pública a nivel nacional. GNU Health patchset 2.4.1 has been released ! allows quick bug fixes and updates for production systems. of them, and thanks to the magic of Tryton can be applied to running system.